Vjeko Sumic, an artist based in Belgrade, Serbia. 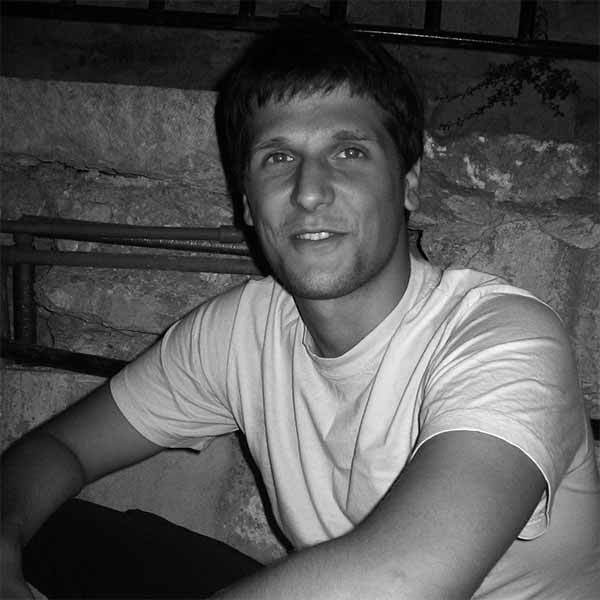 He is known for designing logos and has worked on the poster called, “Requiem for Mrs J,” which was awarded at the Berlin International Film Festival in 2017. He creates beautiful lines combining shades of similar colors, and he says the roots to this method is inspired by early ukiyoe prints from Japan and modernism from Switzerland. 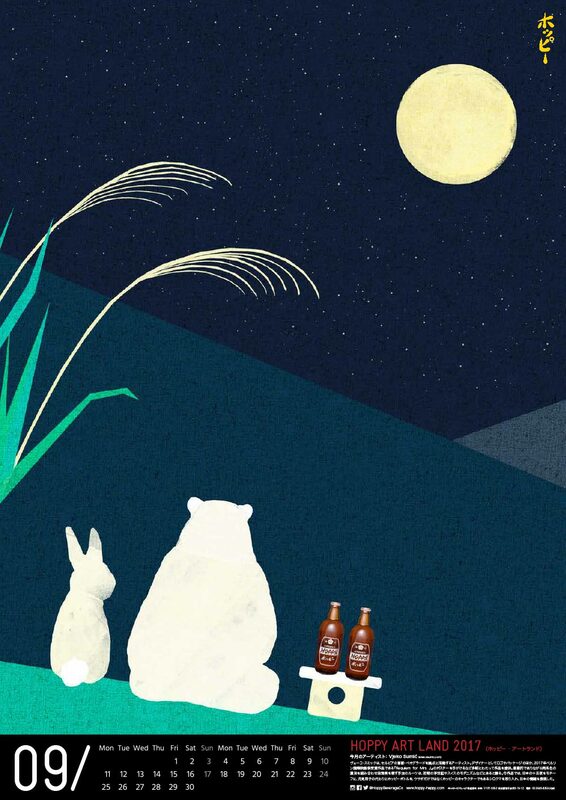 For Art Land, his theme is Japan’s fifteenth night, “Juugoya,” which is the night of the full moon in mid-autumn. 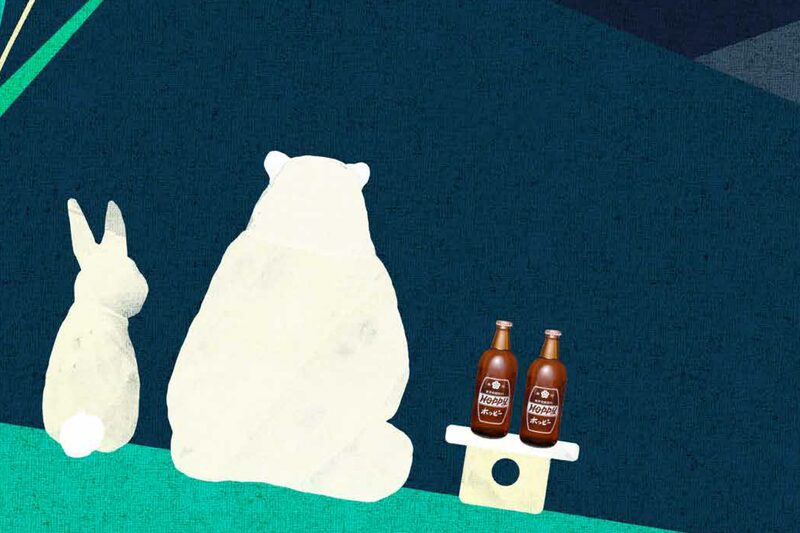 Juugoya artwork is usually themed with a rabbit watching the moon eating moon dumplings, so for Art Land, Vjeko illustrated the Hoppy white bear and Hoppy beverage in a similar fashion.